Traffic congestion is no fun for anyone, but it’s deadly for public transport. 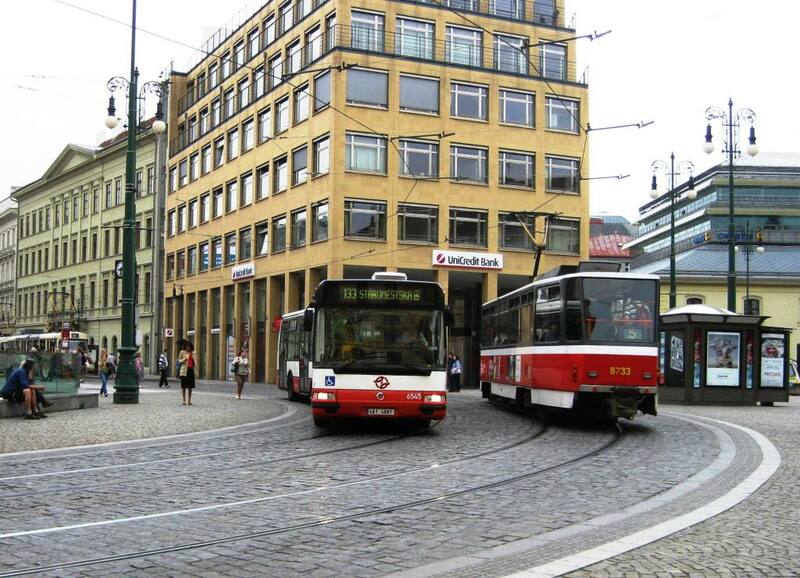 When buses and trams are stuck in traffic jams they fall behind schedule and, because this means that more people will be waiting at the next stops, they fall even further behind schedule leading to bunching and compounding delays. Bunched buses and delays make public transport unattractive for customers and increase operational costs, so congestion impacts on public transport must be eliminated whenever possible. These techniques are outlined below. More detailed information is available on the Improve Public Transport wiki – guideways best practices. Exclusive public transport lanes means the lane on which the bus or streetcar runs is not open to private vehicle traffic. 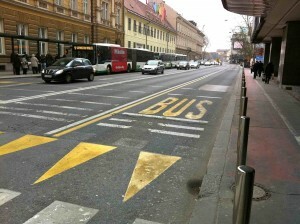 Exclusive lanes enable buses and trams to avoid congestion helping increase their speed, reliability and attractiveness. Unfortunately, exclusive lanes are often controversial since they ‘take’ space that could otherwise be used by private vehicles. Taxicabs are allowed to use exclusive lanes in some cities (e.g. Vienna, San Francisco. Paris). Bicycles are often allowed to use exclusive lanes. Exclusive lanes can be time-based, in other words exclusive during certain times (peak periods) and reverting to mixed-flow or parking lanes at other times. 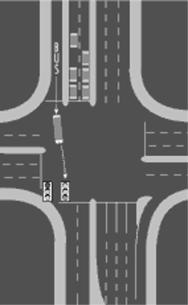 The method of separating exclusive lanes from other traffic is an important factor in determining their effectiveness. Simply put, the better the separation – the more effective. Painted lanes are least effective and lanes separated by barriers or on their own right of way are best. Transit malls are a type of exclusive public transport lane. 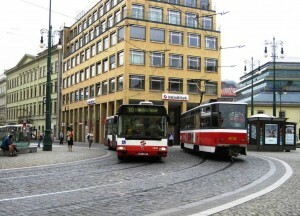 They are sections of street, generally located in a city centre, where several transit lines operate with little or very limited private traffic. Transit malls can increase urban livability while making public transport more efficient and attractive to customers. Well-designed transit malls, including those in San Jose, Portland, and Denver, are good examples of high-quality urban design and transportation planning. Building a separate right of way (for example, a bus way) is a costly improvement but can be worthwhile especially if it serves as the catalyst for implementing other transit priority improvements. Furthermore, even given their high cost, these improvements can be less expensive than building new heavy rail public transport systems. The most effective purpose built exclusive guideways are designed to serve several different public transport routes (for example, a bus tunnel in a downtown area). More detailed information and examples are available on the public transport guideways wiki page. Parking Restrictions – one main cause of delays to transit vehicles is waiting while private vehicles maneuver in and out of parking spaces. Parking restrictions and controls can be implemented to reduce the impact of parking movements on transit vehicles and to provide space needed for exclusive transit lanes. Turn Restrictions – turning vehicles are another significant source of delay for transit vehicles. Implementing turn restrictions carefully can significantly reduce these delays. Transit Exemption from Turning Requirements – in some cases, restrictions to turning movements can lengthen and delay transit routes. In these cases, it can be beneficial to exempt transit from the turning movement restriction. Loading Restrictions – historically, vehicle loading on public streets has been a problem in cities throughout history. In ancient Rome, goods delivery was banned during the day because of congestion. Careful design of loading areas can improve transit priority by reducing interference with transit vehicles. It’s important to note that traffic regulations (e.g. removing parking) can be controversial. This means that they should be developed and implemented with public input, and that they need to be designed to minimize unnecessary negative impacts. One effective method is including traffic regulations as part of a comprehensive program designed to improve neighborhood livability. are short sections of exclusive roadway located near an intersection that enable transit vehicles to bypass congestion at the intersection. Queue jumps are queue bypass physical improvements with the addition of change in traffic signal timing that enables transit vehicles to start ahead of private vehicles—essentially jumping ahead of them. Implementing these types of measures involves careful analysis of specific local conditions. Again the best way to do this is as part of developing a comprehensive plan for making a street more livable. An excellent reference for both specific measures and the process for analyzing and planning them is the City of Portland’s Transit Preferential Streets Program Sourcebook (pdf). Real time public transport lanes are lanes that use real time traffic control devices (for example, changeable message signs) to clear street lanes for public transport vehicles exactly when the PT vehicles are present; when PT vehicles are not present the lanes are free for use by any traffic. This concept has been evaluated in research (Eichler, M. “Bus lanes with intermittent priority: assessment and design.” Master’s Thesis, Dept. of City and Regional Planning, University of California, Berkeley; 2006) but there are no actual examples of it in operation yet. Please add ideas in the comments!